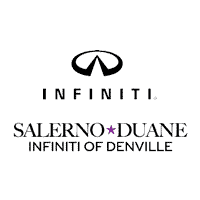 Salerno Duane INFINITI of Denville is proud to partner with Cornerstone Family Programs & its subsidiary the Morristown Neighborhood House because of all they do for the members of our community who are in need. They’ve been helping the poor and immigrants have more enriched lives in our community since 1813 and 1898, respectively. 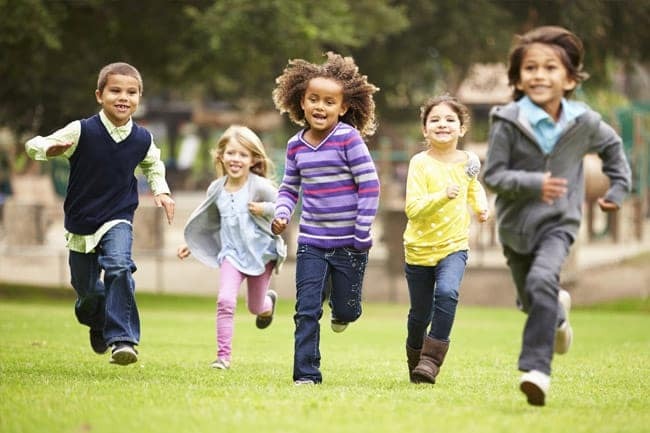 We applaud the nonprofit organization’s efforts on their programs for children and veterans. Parents as Teachers (PAT) provides home visits, parenting education & community resources to parents with kids from conception through 2 years old. Morristown Neighborhood House Preschool, full-day year-round child care facility, works directly with Morris School District to ensure children ages 2½-5 are prepared for kindergarten. Habla español. Early Childhood Resiliency Program offers specialists to teach in-classroom mentorship & education and in-home parent engagement & skill development for families with infants and school age children. Programs for before & after school care, summer camp, transportation, tutoring, recreation and enrichment. 800 Meals being served daily for those in need. Many of these children are first-generation English speaking and do not have the homework help or computer access they need without the Neighborhood House. Confidential Counseling & Support for service members, veterans & their families by clinicians trained and experienced to guide people through issues pertaining to stress, anxiety, PTSD symptoms, traumatic brain injury, substance abuse, marriage, children and readjustment. 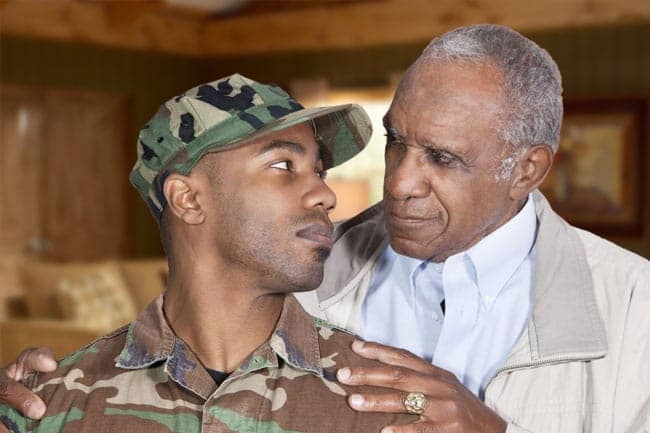 Confidential Money Management Consultations in person or over the phone from experienced professionals to help service members and veterans with their customized financial needs & goals at no cost<. Operation Sisterhood addresses the unique challenges faced by female veterans by offering a community of women who identify key issues & develop access to services through peer support, mentoring, education and counseling. Cornerstone Family Programs also offers addiction services, community development and programs for adults, youth & teens and seniors & caregivers. 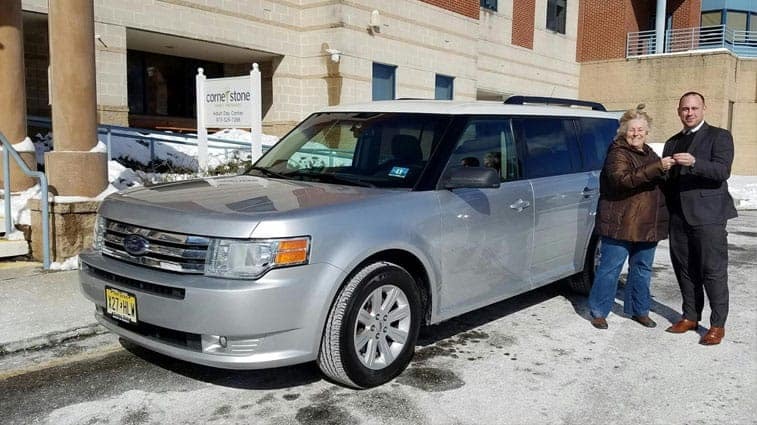 SALERNO DUANE DONATES CROSSOVER TO NON-PROFIT Bill Gusta hands the keys over to Nancy Arluna, Director of Cornerstone Family Programs. It will be put to good use for their transportation needs. 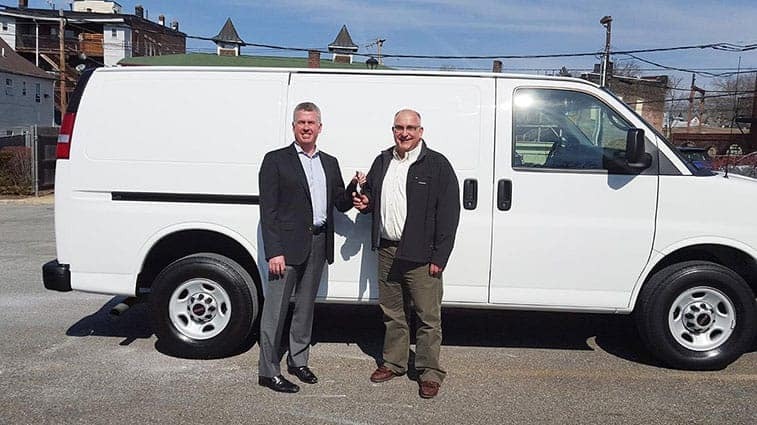 SALERNO DUANE DONATES VAN TO NON-PROFIT Mike Salerno hands the keys over to Mitch Perry, Operations Manager at the Morristown Neighborhood House. It will be put to good use for their transportation needs.